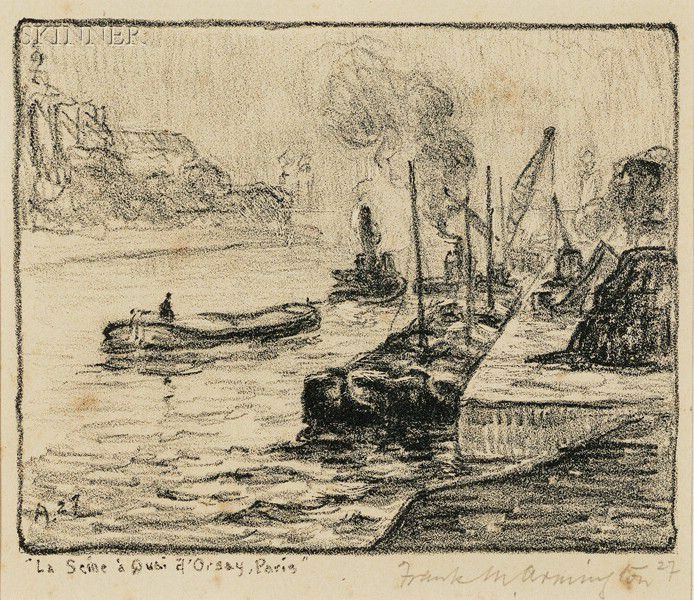 Two Coastal Views: Le Port du Havre, 1922, edition of 30; and La Seine a Quai d'Orsay, Paris, 1927. 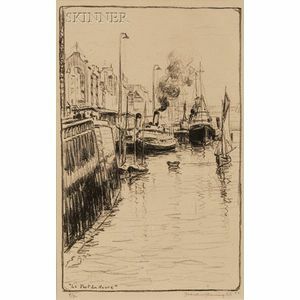 Both signed and dated "Frank M. Armington..." in pencil l.r. and titled in the matrix. Lithograph on paper, image sizes to 10 x 6 1/4 in. 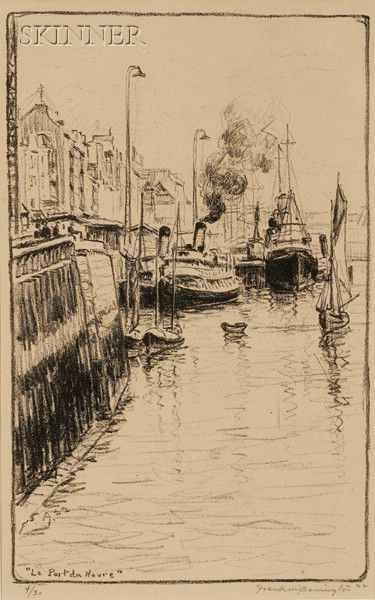 (25.4 x 15.8 cm), framed.